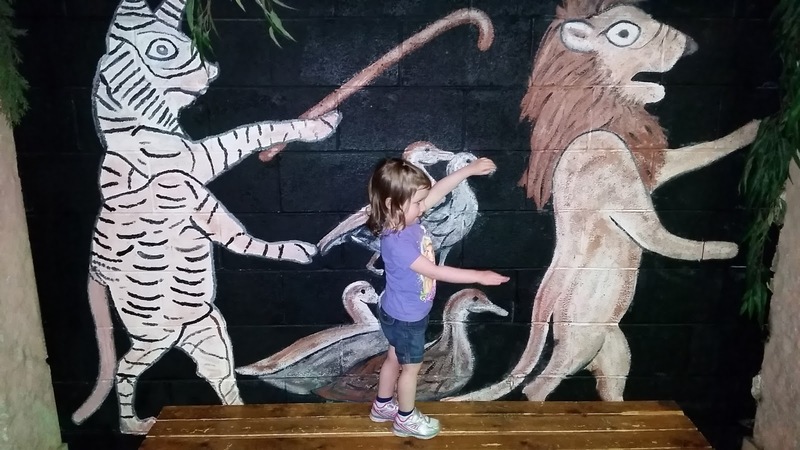 Make sure to check out my Road Trip Favorites for Kids and Part 1: Our Favorite Trails in Gatlinburg! We stayed at 2 hotels, and we received a free adult Ripley's Aquarium ticket at each hotel (it was a deal I found on Pigeon Forge's website). That place is super expensive, but we managed it for just $11 with coupons. The aquarium is awesome, and the kids absolutely loved it! I'd recommend going early...we got there at opening and no one was there! By the time we left, there was a huge line to get in. Our favorite was Donut Friar - it was delicious!! They were located near the taffy factory, were we spent a lot of time watching them make the taffy (and hand out samples! :)). I'm not a huge souvenir type of person, but we did get ornaments (personalized for free) at Santa's Claus-et. Santa talked with the kids, put them on the good list, and gave them a free ornament to remind them to behave all year. We'll see how that goes! 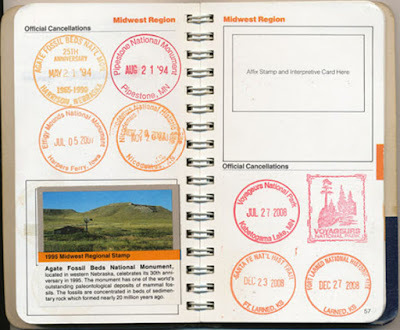 ;) The other thing we always do at National Parks, is get our Passports stamped! John and I started getting stamps together in our passports back when we were dating...so we grabbed some for the kids, and picked up some stamps along the way! 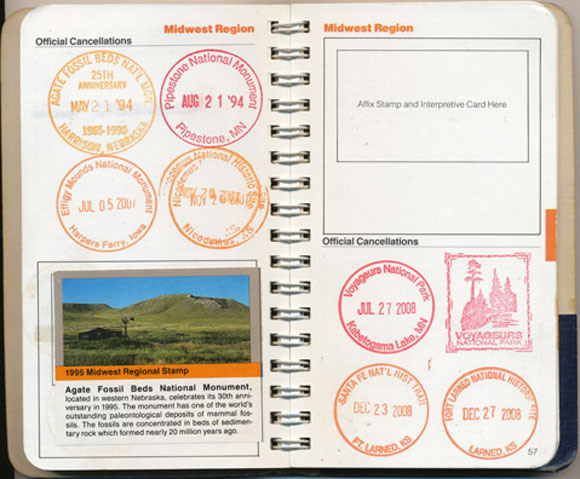 The dated stamps are free, and you can get your book stamped at any ranger station! Our passports are packed away, but I wanted to show what I was talking about :) Picture source here. 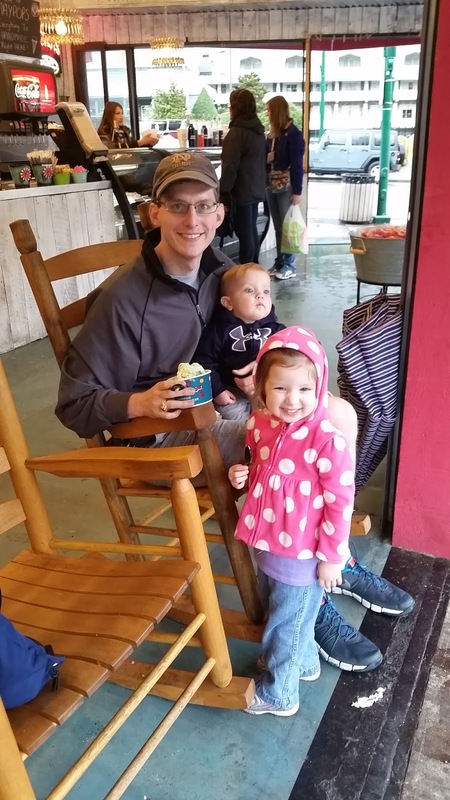 I think we did a good mix of nature activities and indoor fun while in Gatlinburg. We hope we will be able to head back there sometime soon! We all loved Tennessee...I wish it wasn't 8 hours away!! Have you been to Gatlinburg - what were your favorites? I've heard so many wonderful things about Gatlinburg. My parents honeymooned there back in the day, so I really want to visit :)! What a fun trip!! I will probably have to wait until my little one (9 months) gets a little bigger so he can appreciate it, but it's great to have an option that isn't too far away! 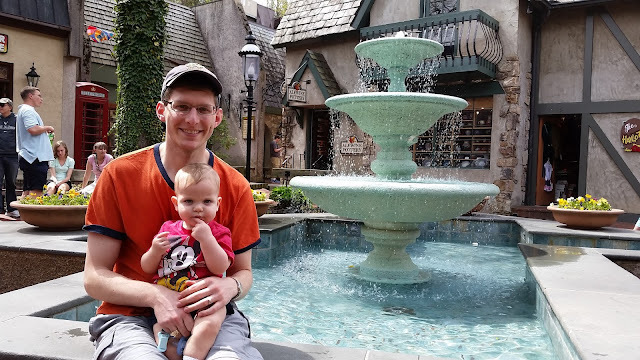 I visited Gatlinburg when I was pregnant with my oldest son. That was 19 years ago. I hope to visit again one day. It is a beautiful place. Agree! Can't wait to go back! We used to go to Gatlinburg when I was younger. It's the closest place to Atlanta to go skiing (after seeing real snow now, I don't recommend it for that though). I went with my Girl Scout troop most years in high school...sadly, no moonshine tasting for us! However, we usually ate our weight in taffy. Sounds like y'all had a fun trip. Thanks for sharing! 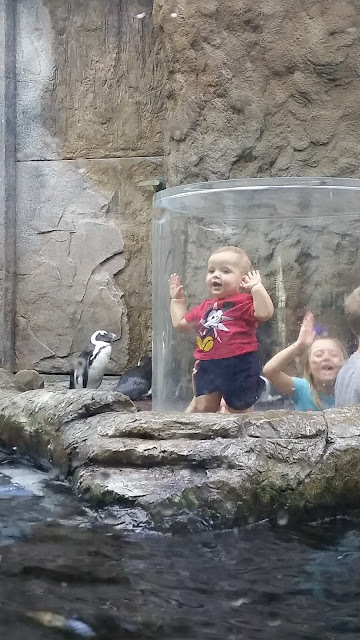 What...in that penguin exhibit is he standing basically in a 'bubble' like he's inside the exhibit?! Penguins are my favorite animal so that is like my DREAM. Yes! It was so cool...the kids could crawl in and stick their heads up to see better. So naturally, my husband (who is 6' 4'') went in and almost got stuck with Tim. haha It was pretty entertaining! haha You have to go back for the drinks now Cat :) I'm not a big ski person, so we'll probably stick to going there in the Spring ...wish it was closer though!